GOOD Teams – Raise the curtain for our receptionists! Here at Goodgame, we were recently asked in an internal survey what in particular we like about our jobs, and this was clear for many of us: the atmosphere in the teams and the feeling of camaraderie are one-of-a-kind here. This “Goodgame flair” also motivates our five receptionists to jump into their tasks with newfound zeal every single day. Thanks to these ladies, we always feel welcome at Goodgame Studios: the well-practiced team of two, Martina and Valeska, look after the reception at Westend Village (WEV), while Daniela, Stefanie, and Alina liven up the reception desk at Albert-Einstein-Ring (AER). Along with the everyday hustle and bustle that comes with working at reception, the team is active in all sorts of projects. For example, they help with planning moves within the company. Due to Goodgame’s tremendous growth and the restructuring of the company into individual studios last year, entire teams are constantly moving from A to B and even from one office building to another. The reception team also gets involved with updating our internal wiki in order to provide our colleagues with the latest information. They often support other teams in the company as well – whether feelgood, event, office design, or maintenance, our receptionists are always on hand when help is required. “Daily routine” is therefore a foreign word for Goodgame reception. Every morning, the team prepares itself for whatever the day may hold, plans their pending tasks, and prepares for interviews and meetings with external guests, but the majority of their work can’t be planned in advance. The ladies have to react to very spontaneous requests and coordinate their planning accordingly – flexibility is one of their major strengths. Whether it’s orders that need to be coordinated, a parking spot found, anniversary cards and gifts needed, or entire carts full of mail and packages to be sorted – the team always has everything under control. And everyone understands the importance of showing their colleagues their full appreciation: “We’re usually kept on our toes, but it’s a lot of fun and we often get a personal thank you for our work – like if it’s someone’s birthday and some cake is still left, they bring it down to us,” Daniela told us. 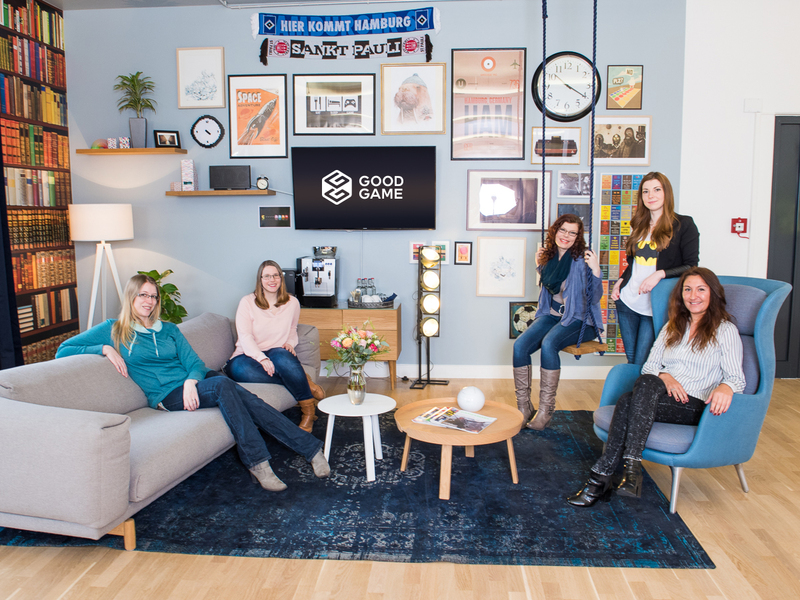 If you happen to visit us for an interview or a meeting in the near future, check in on these ladies to get a taste of our “Goodgame flair” for yourself! We look forward to seeing you!